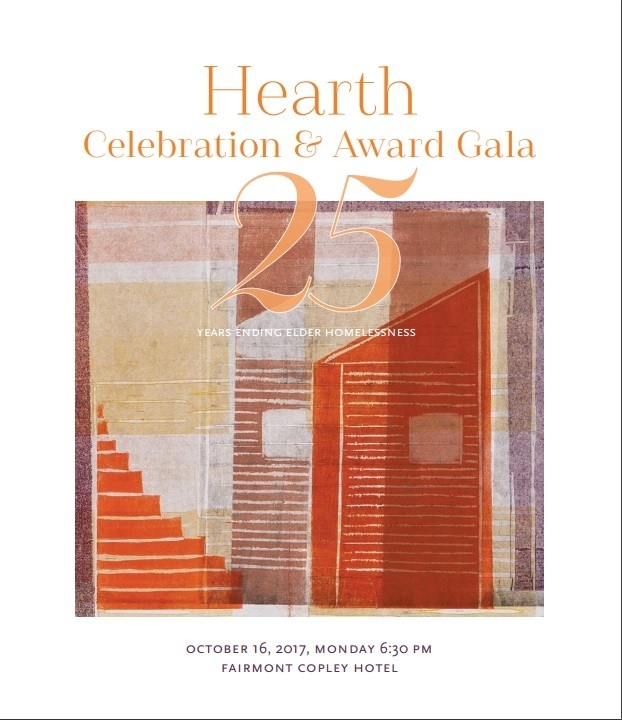 On Monday, October 16, 2017, Hearth celebrated 25 years of ending elder homelessness. The event brought together almost 300 friends and supporters. When Hearth was created as the Committee to End Elder Homelessness over 25 years ago, our founders created a new and unique thing – an organization with passion plus information, pragmatism plus commitment to others, intelligence plus inspiration. The values that drive our work are core human values that all people of good will share – that the hungry should be fed; that the homeless should be housed; that the sick should be cared for; and that our elders should be cherished, nurtured, and able to live out their lives with independence and grace. The Gala gave us a chance to reflect on the Hearth of today and imagine the Hearth of the future. The story of Hearth has always begun with our residents and Outreach clients, their resilience and heroism in the face of incredible challenges. That story is the driving force behind what we do everyday. As part of the evening's festivities, we paid tribute to our founders Sandra Albright, Anna Bissonnette, Joanne Bluestone, Ruth Cowin, Ellen Feingold, Elsie Frank, and Diana Laskin Siegal and presented Mayor Martin J. Walsh with the Anna Bissonnette Award for his dedication and work to create more affordable housing, his initiative to end chronic homelessness in Boston, and his unwavering commitment to ensuring seniors live their lives in dignity. Former Congressman Barney Frank, spoke about the legacy of Hearth's Founders, including his mother, Elsie Frank and the important work Hearth does to help Boston's homeless elders.